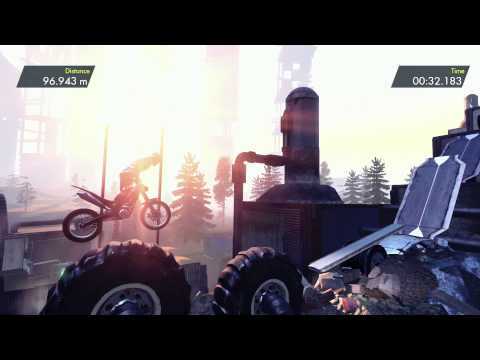 Trials Fusion: Riders of the Rustlands (DLC 1) - Buy and download the game here! NOTICE: Requires the base game Trials Fusion in order to play. Uplay account and internet connection are required to activate, download and use this product. This content is part of the Season Pass and will be available to Season Pass purchasers in game upon release. Go beyond the edge of the city with the first content pack of Trials Fusion : Riders of the Rustlands! These forgotten people live outside the elevated class region that Fusion takes place in, and lack the wealth of the inhabitants in the city area. Ignored and left to their own devices by the government, they are forced to use, build and scavenge what they can to make a living. 10 new tracks (including six Classic Trials Tracks, two new Supercross Tracks, one Skill Game and one FMX Track).